Asti is a beautiful boy, he is maturing nicely and sired three lovely litters in 1998. A double Best Puppy in show his first weekend out showing. 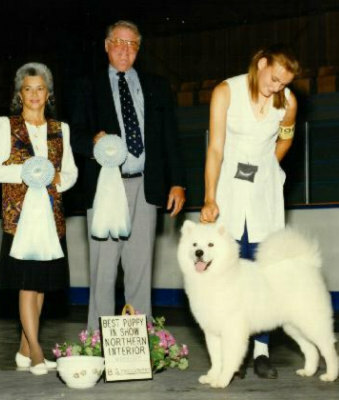 Asti's babies are now in the show ring and doing well in their competition and can be seen in both Canada and the States.